These crab cakes are a classic combination of mayonnaise, bread crumbs, and good quality crabmeat. Creole seasonings and Creole mustard add flavor to the crab cakes. 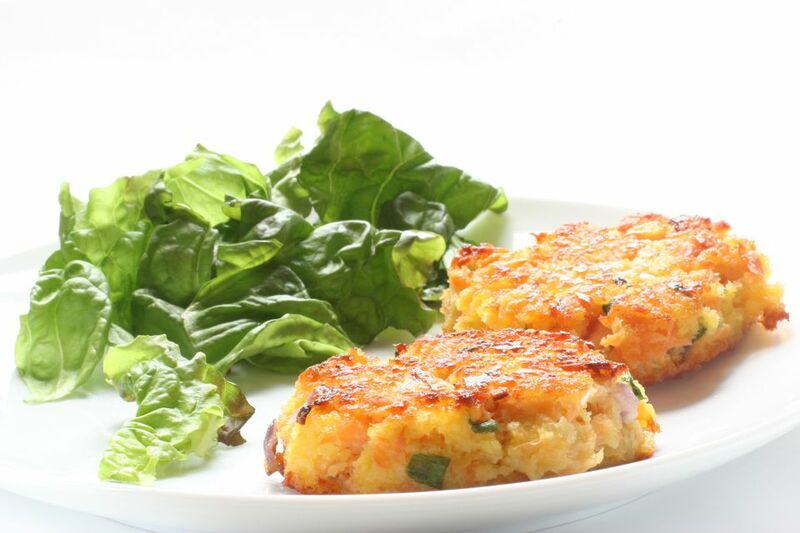 Make the crab cakes for a meal, or make them small and serve them as appetizers. In a bowl, combine the mayonnaise, Creole mustard, Creole seasoning, pepper, parsley, green onion, and bell pepper; set aside. If the Creole seasoning does not contain salt, add a dash of salt, or to taste. Drain the crabmeat and gently squeeze it to get as much of the liquid out as possible. Put the crabmeat in a medium bowl. With a spatula or wooden spoon, fold in mayonnaise mixture and 1 cup of the bread crumbs, just until blended. Shape into 8 crab cakes, about 2 1/2 inches in diameter. I use a biscuit or cookie cutter with an open top to shape the cakes and press the ingredients down to make them hold together. Press gently into reserved crumbs. Cover and chill for 1 to 2 hours. Heat the butter and oil over medium heat. When the butter stops foaming, fry crab cakes for about 5 minutes on each side, carefully turning only once. Serve with lemon wedges and Remoulade or other sauce. Gently brush extra melted butter over the tops of the crab cakes before you flip them. To make fresh, fine bread crumbs if your bread is not somewhat stale and dry, arrange 6 slices of bread on a baking sheet. Bake the bread in a 325 F oven until it is dry but not toasted. Cut or rip the bread into smaller pieces, and pulse in the food processor to make fine crumbs.